Bollywood’s young actors Arjun Kapoor and Parineeti Chopra will be reuniting for a film after six years for Namastey England. The two were last seen in the film Ishaqzaade in 2012. Parineeti and Arjun were snapped at the Mumbai airport on June 13, 2018. The on-screen couple returned from London where they were shooting for the upcoming flick. 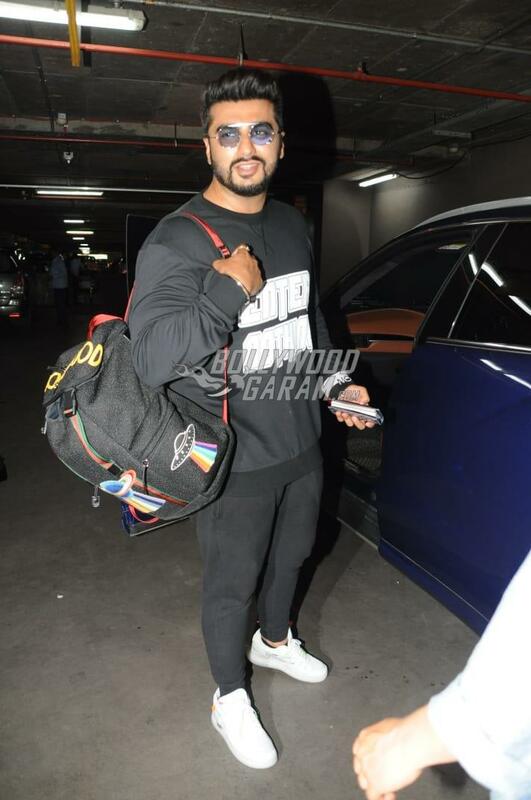 Arjun looked great in a casual black pullover and black track pants with white sports shoes and a pair of vintage glares while Parineeti Chopra looked pretty in a co-ordinate set. The upcoming film Namastey England is the sequel to the film Namastey London and is directed by Vipul Amrutlal Shah. The film narrates the story of Param and Jasmeet and their love story that passes through the picturesque locations of Europe and India. Namastey England is presented by Reliance Entertainment and Pen Movies and is expected to be released on December 7, 2018.